Today, Showtime debuted a new tease for the critically-acclaimed, ground breaking television phenomenon Twin Peaks, which returns as a limited series to Showtime in 2017. The tease will run on Showtime this Sunday during the season finales of the hit series “Homeland” and “The Affair.” Check out the Twin Peaks teaser trailer below! 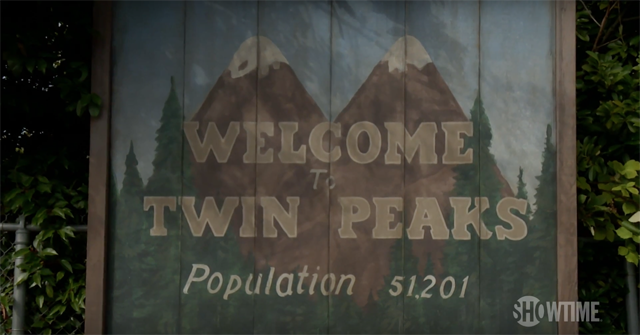 Currently in production, Twin Peaks is written and produced by series creators and executive producers David Lynch and Mark Frost and is directed entirely by David Lynch. While the full mystery awaits, fans can expect many familiar faces, includingGolden Globe winner and Emmy Award nominee Kyle MacLachlan, who reprises his role as FBI Agent Dale Cooper.